Insurers in China have enjoyed many years of rapid growth, partly due to massive risky investments. However, these risks could end up costing the insurers billions if the slowing down of the economy ends up in heavy debt defaults. Industry premiums have increased at an average of 13.4% annually since 2010, according to the China Insurance Regulatory Commission (CIRC). 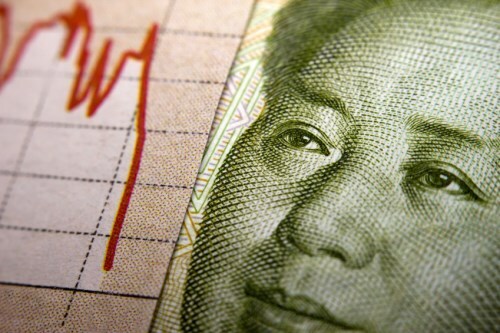 Currently, the Chinese economy is facing low interest rates and erratic stock markets, so investors are forced to look for alternative venues for investment to continue the level of returns they are used to. Reuters surveyed the top five insurers in China, which include Ping An Insurance Group and New China Life Insurance, and the data showed that their amount of assets other than shares, bonds and cash has grown over four times in the last five years to US$150bn. These alternative investments include opaque and risky assets such as trust schemes and wealth management products. These shadow banking-linked investments consist 16% of the top five’s total assets, up from just 5% in 2011. According to analysts, a good deal of these investments were placed in debt-laden state-owned and private firms that are very much at risk of default. Banks’ nonperforming loans are at an 11-year high of almost 2% according to official data, but analysts believe that the situation is actually worse. Assets such as project asset-backed plans, trust schemes, and wealth-management products are hard to liquidate in case of an economic downturn due to lack of a secondary market and lengthy investment horizons. "The growing investment in risky, higher-return assets is the Titanic, and when it goes down, it will take more than one lifeboat," said Thomas Monaco, portfolio manager for Chinese equity at Hong Kong-based Nighthawk Capital. "The real problem for insurance companies is that the overall investment yields are coming down in China, so they are going out of the credit-risk curve. They are going for higher interest rate bets, and a lot of them could go bad," he added. To drive up premium growth, some insurers have been pushing short-term policies with high returns. "To be able to offer such high-return products to customers, they have to adopt a more aggressive investment strategy to earn a high yield," said Sally Yim, senior vice-president for Asia financial institutions at Moody’s Investors Service. Fortunately, the insurance industry regulator is making countermeasures. The CIRC is inspecting insurers’ risk controls over stock, private equity and property investments, according to the Shanghai Securities News.